This ended up being better than expected. 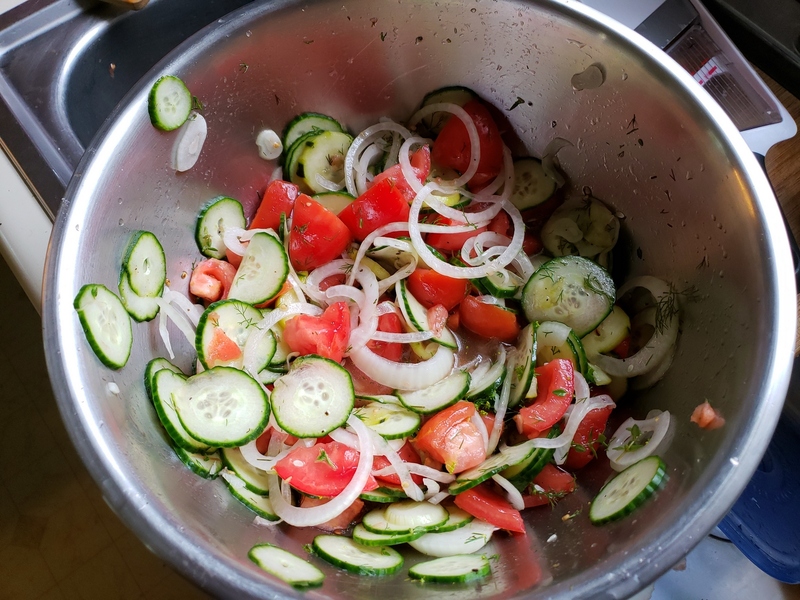 It’s a basic tomato and cucumber salad with a dill vinaigrette made with seasoned rice vinegar. Mrs J snagged a bag of sweet Vidalia onions so I included those into the mix. My handheld mandoline made short work of that English cuke. 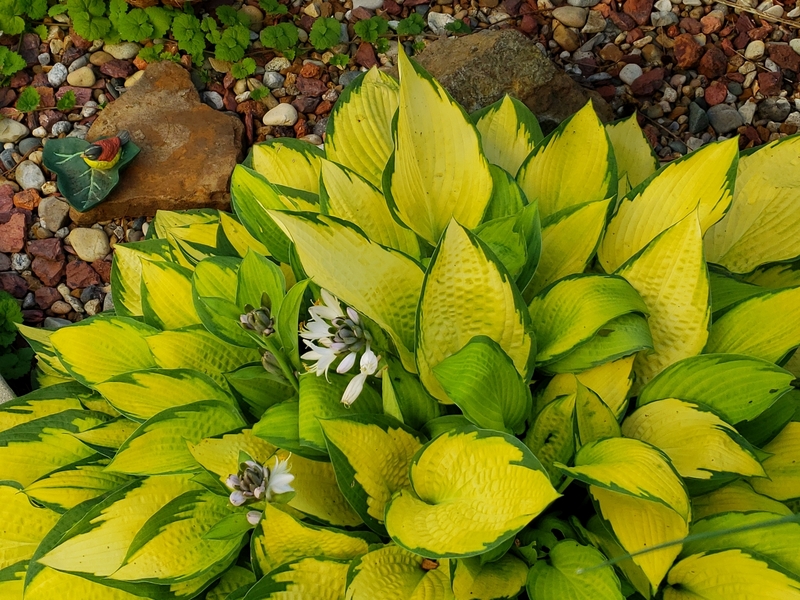 This hosta is pretty. 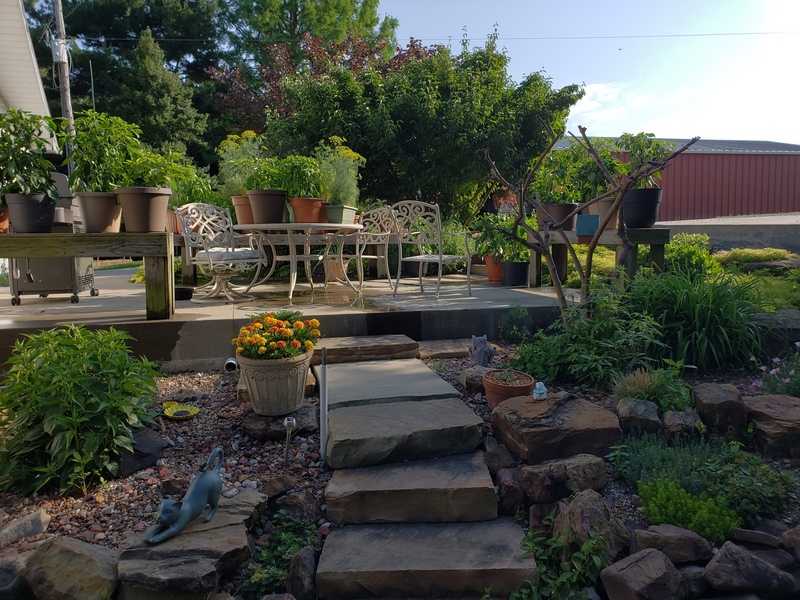 I took several garden shots per a request over at Balloon Juice in the Sunday morning garden chat. This is looking up at the patio herb and pepper garden. The bare looking tree/shrub thing is a vitex that has to be severely pruned every year lest it take over. It always was a late starter but I think it may dead. I won’t miss it too much although the hummers and the bees sure liked it. 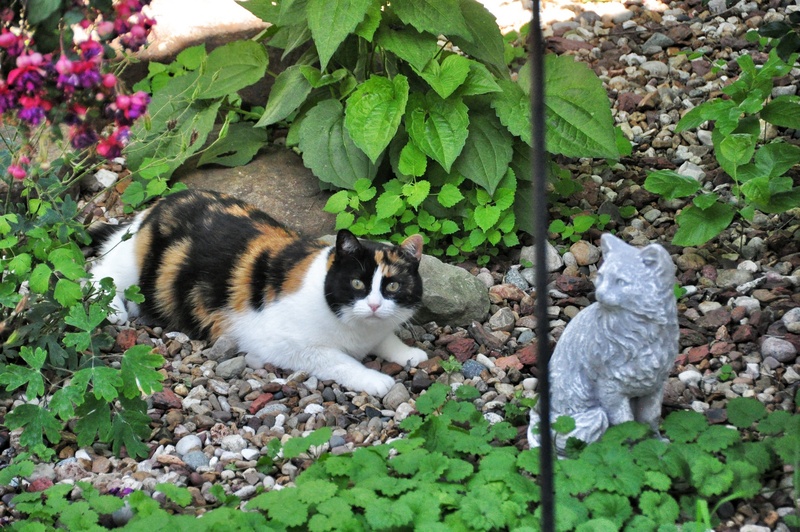 Mrs J prefers garden kittehs to gnomes. The feeling isn’t necessarily shared throughout the household. Post needs more sammich! This is the last of a brisket I smoked earlier this year. 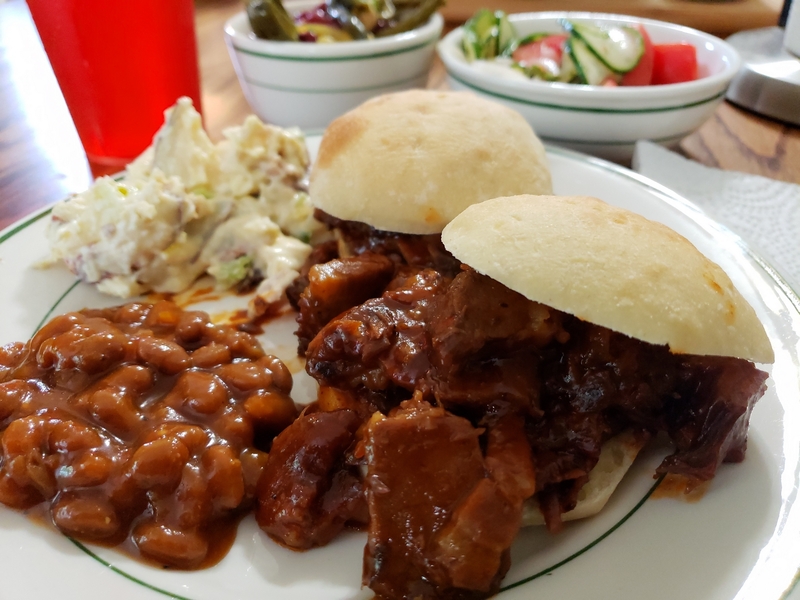 I reheated the slices in BBQ sauce. Another garden kitteh. Mrs J is fond of those coconut fiber containers, saying she has good luck with them. 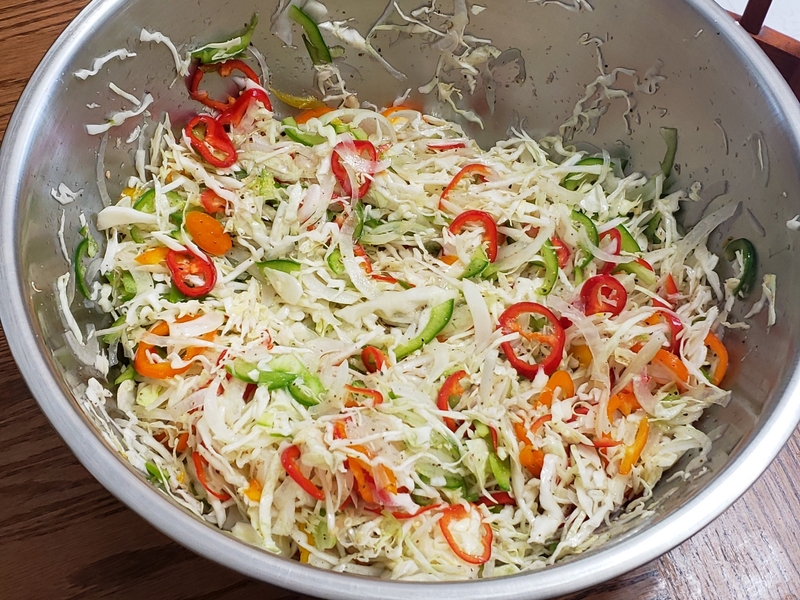 I love to thin slice the mini peppers to brighten up a slaw. We will make several in a row with the vinegar dressing, then shift to creamy for a couple of batches.